But the band's former guitarist Slash said: "It's definitely an honour and I have no idea what's going to happen on that day." The group's original line-up fell apart in 1996, so fans hoping to see the band reunite may be disappointed. 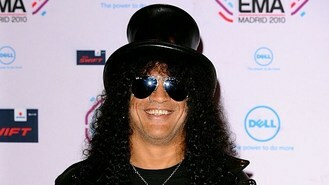 Slash is currently busy with his latest solo album, Apocalyptic Love, due out in May.